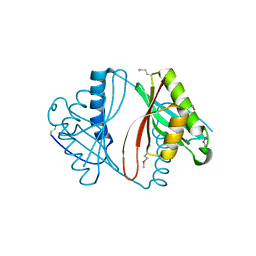 Cite: Crystal structure of a putative transcriptional regulator SCO0520 from Streptomyces coelicolor A3(2) reveals an unusual dimer among TetR family proteins. 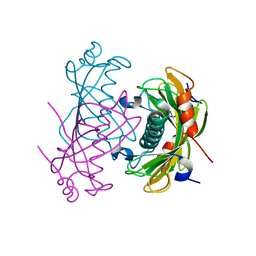 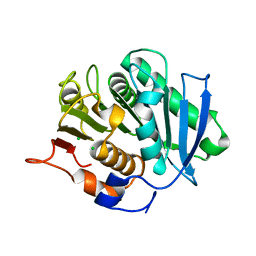 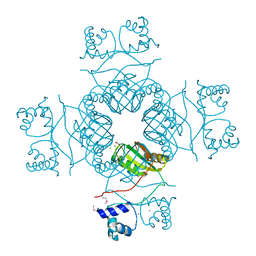 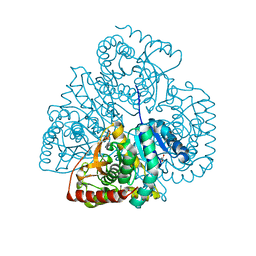 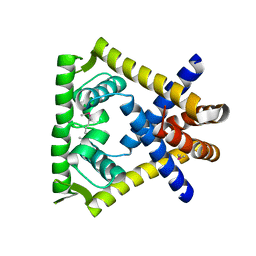 CRYSTAL STRUCTURE OF THE PA5185 PROTEIN FROM PSEUDOMONAS AERUGINOSA STRAIN PAO1. 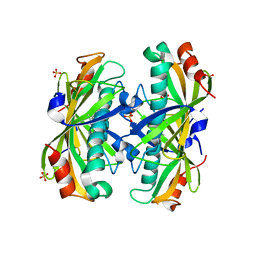 Cite: Function-biased choice of additives for optimization of protein crystallization - the case of the putative thioesterase PA5185 from Pseudomonas aeruginosa PAO1. 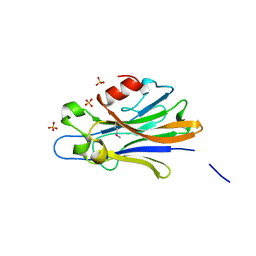 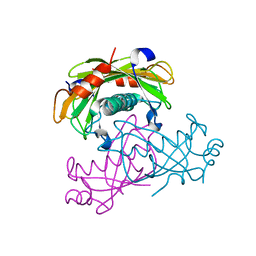 CRYSTAL STRUCTURE OF THE PA5185 PROTEIN FROM PSEUDOMONAS AERUGINOSA STRAIN PAO1- NEW CRYSTAL FORM. 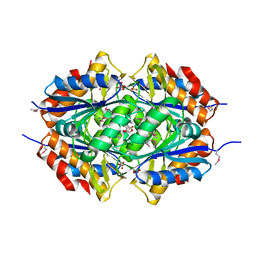 Authors: Chruszcz, M., Koclega, K.D., Evdokimova, E., Cymborowski, M., Kudritska, M., Savchenko, A., Edwards, A., Minor, W.
CRYSTAL STRUCTURE OF THE PA5185 PROTEIN FROM PSEUDOMONAS AERUGINOSA STRAIN PAO1- ORTHORHOMBIC FORM (P2221). 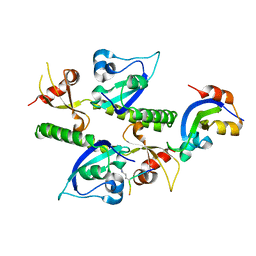 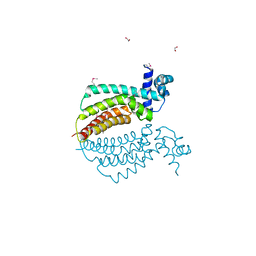 Cite: Structural characterization of Helicobacter pylori dethiobiotin synthetase reveals differences between family members. 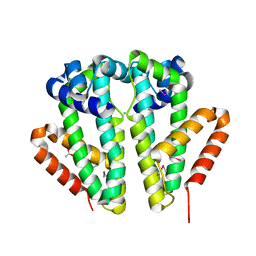 Cite: Crystal structure of Bacillus anthracis str. 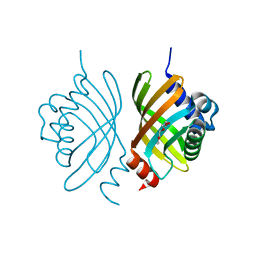 Ames malate dehydrogenase in closed conformation. 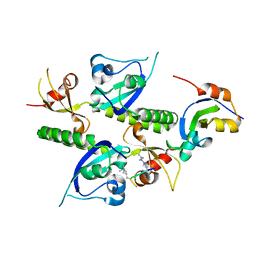 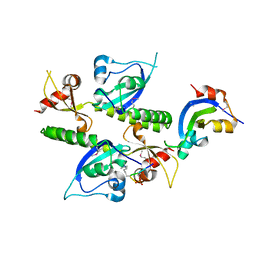 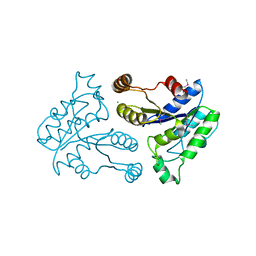 CRYSTAL STRUCTURE OF TRANSCRIPTIONAL REGULATOR PROTEIN FROM THERMOTOGA MARITIMA. 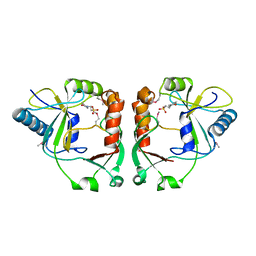 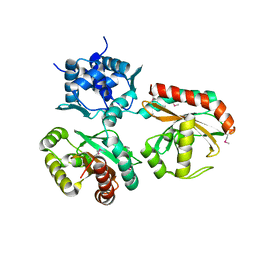 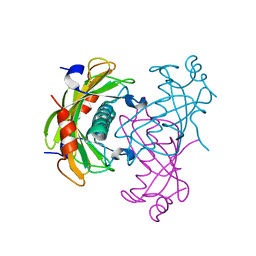 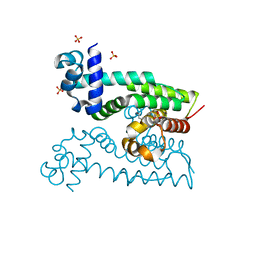 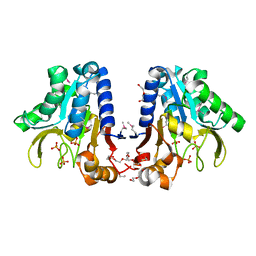 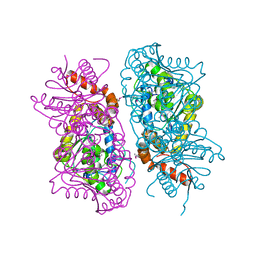 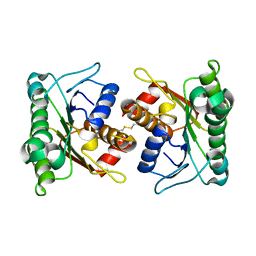 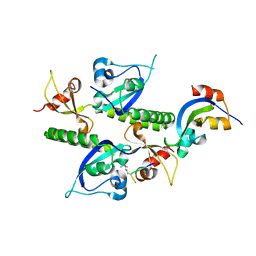 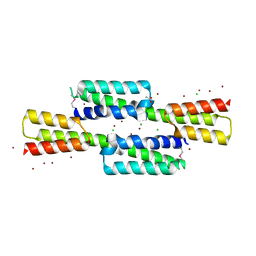 Cite: Crystal structure of a transcriptional regulator TM1030 from Thermotoga maritima solved by an unusual MAD experiment.